Social media marketing should be a substantial part of every marketing strategy. With over 3 billion people using social media across the globe, using social media platforms for your business can have huge reward. In turn, not taking advantage of social media can significantly cost your business opportunities for growth. Social platforms continue to be a great way to improve a company’s brand through social engagement. Consumers are known to connect with brands they aren’t familiar with, in fact, 60 percent of Instagram users alone say they have discovered new products on the platform. Why not promote your business in the very spaces people go to discover new things? You can post for free, but you can benefit more greatly if you spend a few dollars. 2. Increased inbound traffic for your organization. Businesses/organizations without social media have limited inbound traffic. Without social media, only those familiar with your brand will be inclined to patronize your business or support your cause. Having a social media profile is an added pathway leading back to your business and with every post or piece of content you release, you present more opportunities for a new customer. The more content syndicated on your social platforms will generate more inbound traffic and with that increased traffic you have more opportunities for new business. With an active social media presence you are able to foster relationships with your consumers. Use this opportunity to connect with your customers, entertain them, engage with them, and make your brand human. Social media allows you to create a voice for your company, which your customers will appreciate. 4. Helpful for gaining insight relevant to your brand. 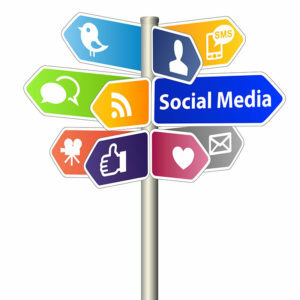 You can use social media as a way to monitor topics or situations relevant to your brand. You can garner information not only about your business but your competitors or industry as a whole. Social media allows you to learn about your customers, their values and their interests. Use this information to tailor your strategy and make better business decisions – ones that are worthwhile. 5. Stay ahead of the game. Staying ahead of the game can mean many things, in this case, using social media, you can stay ahead of the crowd, the rumors or an inevitable crisis. With social media you have the opportunity to highlight your brand’s greatest triumphs and can manage any negative sentiment as it arises. And the greatest benefit of all, it’s all for free! When done properly, social media marketing can be an amazing asset to your business. In the grand scheme of things, you have nothing to lose by using the social media platforms available, but you have so much to gain. By not taking advantage of social, you are essentially missing out on the fastest and most effective way to garner new business. So consider all the potential rewards that result from introducing a social media plan into your current marketing efforts, and if you need help, give us a call!